The Pantheon is opened daily, from 09:00 – 13:00 and 15:00-19:00, a ticket cost 2 euro. 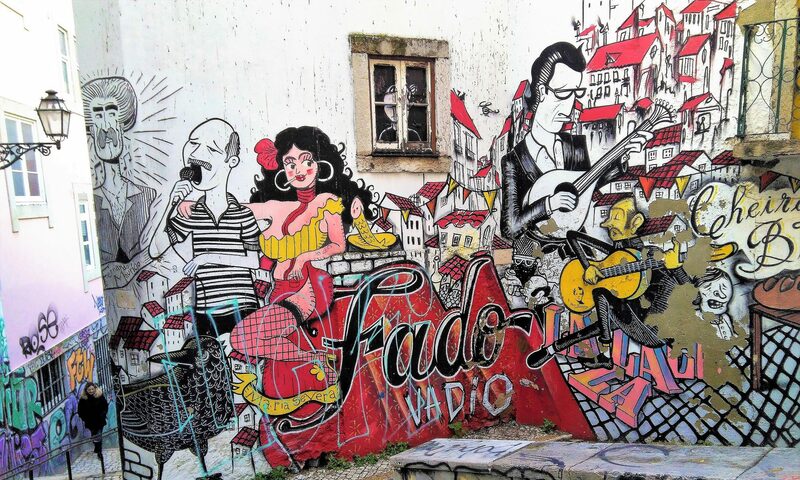 Address: Campo de Santa Clara Lisbon. It is possible to walk around the inside of the dome, you can climb the 169 stairs (I did it, pfffffff!) or use the elevator. 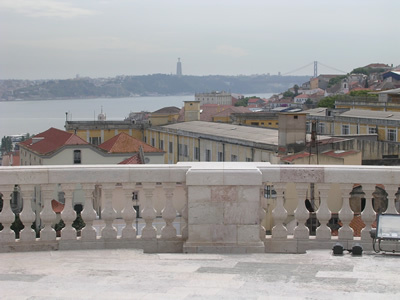 From the exterior of the dome the view on the Alfama area and on to the Tagus river is marvelous! History: the Church of Santa Engrácia (Igreja de Santa Engrácia) is a 17th century monument. 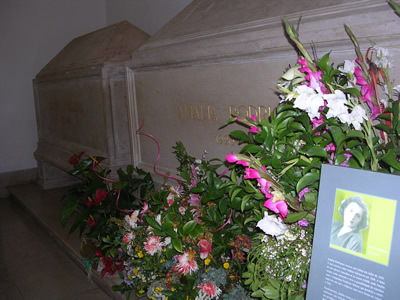 In the 20th century the church has been converted into the National Pantheon (Panteão Nacional) in which important Portuguese personalities are buried, like Amalia Rodrigues, the famous fado singer. Its construction took 284 years and gave origin to the Portugese expression “Santa Engrácia works“, a Portuguese synonym for long unfinished works…..
Building work proceeded from 1682 through 1712. Eventually a dome was added, whereupon the church was reinaugurated in 1966. 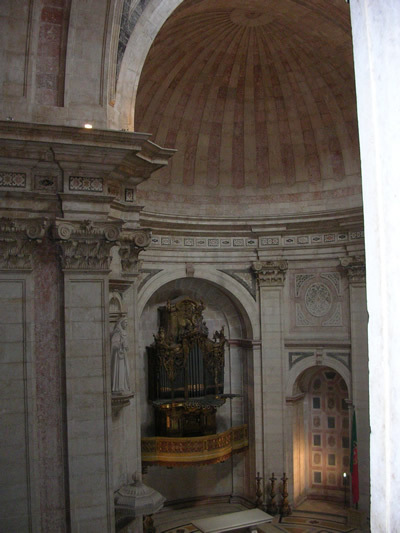 The magnificent 18th-century baroque organ was brought from the Lisbon Cathedral. 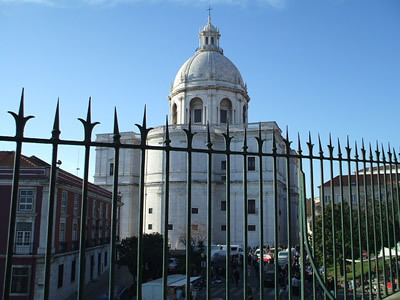 In 1966, during the government of the dictator Antonio de Oliveira Salazar, the Church of Santa Engrácia was turned into a National Pantheon. There are cenotaphs to f.i. Luís de Camões (famous Portugese poet), Pedro Alvares Cabral (Portuguese explorer), Vasco da Gama (commander of the first ships to sail directly from Europe to India) and Prince Henri The Navigator, an important figure in the early days of the Portugese Empire. 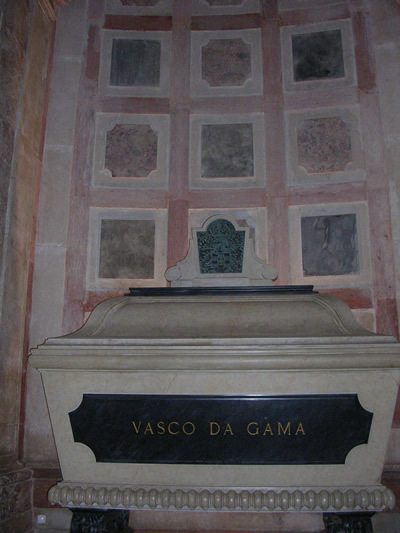 Vasco da Gama, his remains are elsewhere….